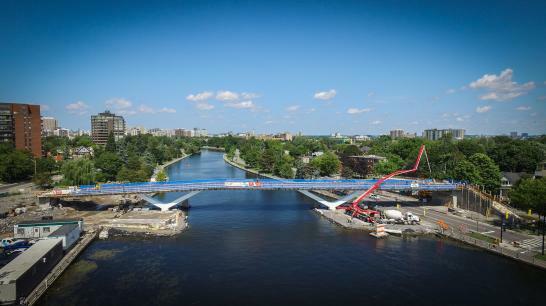 Flora Footbridge has been chosen as the name for the new crossing being built between the Glebe and Old Ottawa East. 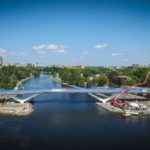 City Council in July, 2018 was unanimous in voting to name the bridge after the late Flora MacDonald, who represented Kingston as an MP in the 1970s and 1980s and lived in the area where the bridge will be located. She died in 2015. MacDonald, the first female foreign minister, was considered a bridge-builder in her career as a politician and humanitarian. 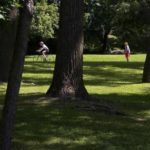 This project provides the missing link in an east-west cycling route through the city; provides a safe shortcut that will save people huge amounts of walking travel time over the course of a year; offsets the impact of the City’s planned intensification of the midtown area by making non-motorized transport much easier; and builds the customer base for businesses in the midtown area.